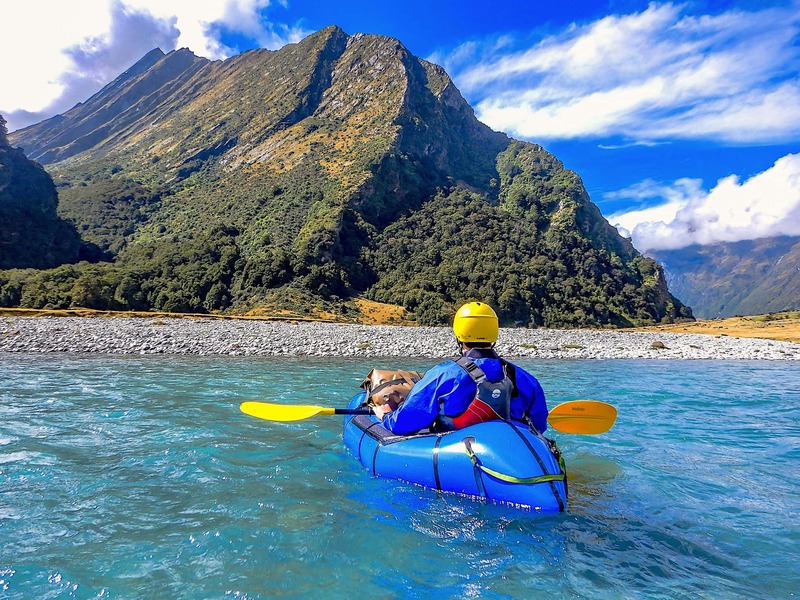 We access the Mt Aspiring National Park from the Wanaka side, hike towards Mt Aspiring itself, have a hearty lunch, packraft the Matukituki River. This is our most adventurous day trip. 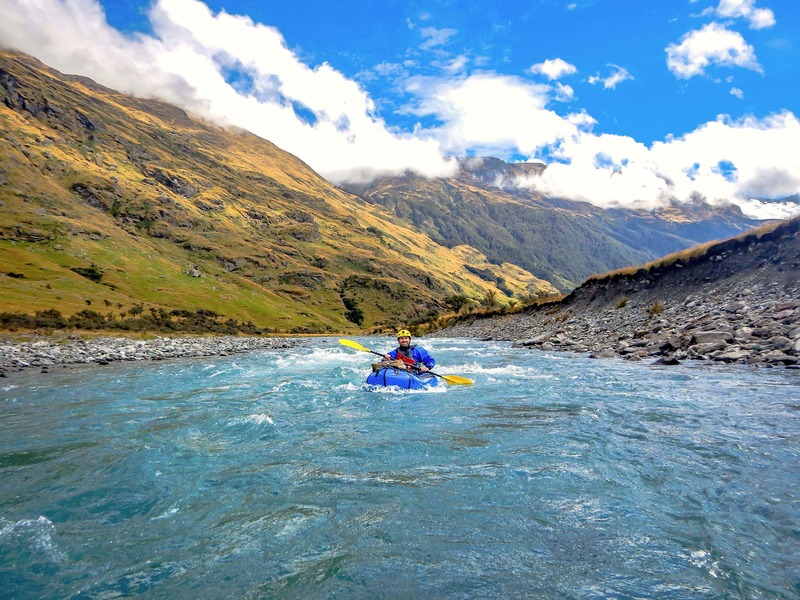 Whilst the hike is still pretty cruisy and not too long, the Matukituki River is punctuated by fun bouncy rapids that keep you on your toes. The rapids are challenging enough to be exciting, but not so hard that you'll end up swimming....perfect for an aspiring packrafter! We'll start the trip off by driving toward Wanaka on New Zealand highest highway, the Crown Range Road. Once we hit Wanaka we'll start heading into the wilderness into the Mt Aspiring National Park. The hike will take us up the impressive Matukituki valley towards the Mt Aspiring Hut, our lunch spot. After a well deserved lunch we'll head to the river. Your guide will run you through inflating the boat (which is easier and cleverer than most people imagine) before walking you through your first strokes.